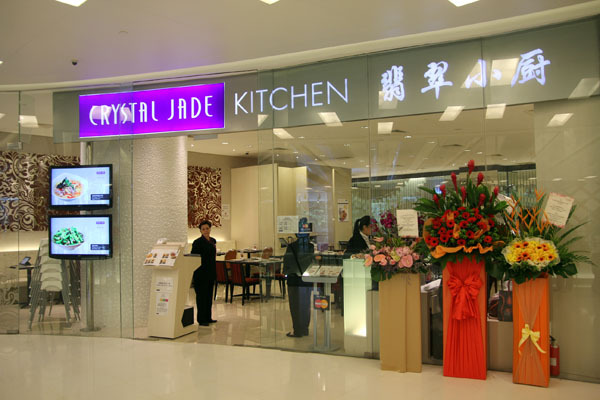 Crystal Jade Kitchen has already established a strong reputation in Singapore for its Chinese food. 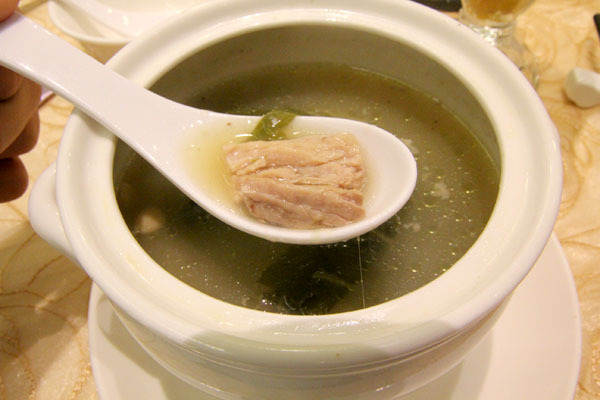 Talk about its Kitchen and fans can call out its favourites like Cantonese noodles, congee, roast meat and dim sum. What is yours? With already more than 45 outlets in Singapore, they have a new branch at Scotts Square – this time experimenting with casual Cantonese comfort food – in the likes of new home-style dishes and soups. Talking about Scotts Square, shoppers are more likely to move downstairs to its F&B outlets of Delicious, Maison Kayser and Marukin. Go all the way and you may be surprised at a rather modern contemporary looking Crystal Jade with big LCD screen menus and service staff taking orders via hand-held devices. From the new menu, I loved the Steamed Rice with Scallion Oil ($6.80/small) most, considering I am not a ‘rice person’. 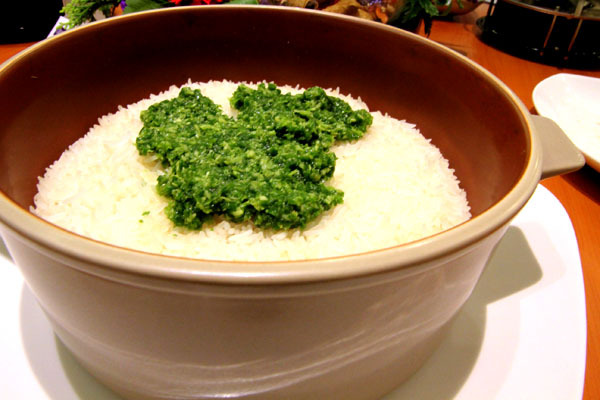 This QQ Rice looks like a unimpressive dish with a glob of green on the top, but this fragrant mixed glutinous rice reminds you that simplest things can taste the best. Plain, aromatic and lingering. The rice should go well with the Sautéed Walnut with Assorted Vegetables. 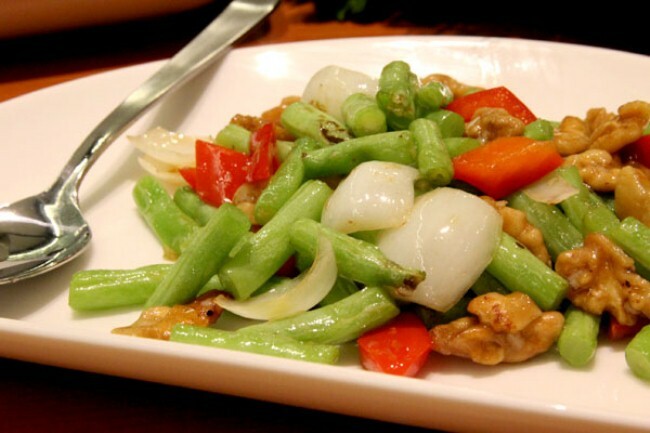 It feels like the chef has put together different vegetables which give a ‘crunch’ – such as red capsicum, French beans, black fungus and fresh lily bulb, all providing a different yet fresh chomp-y bite. 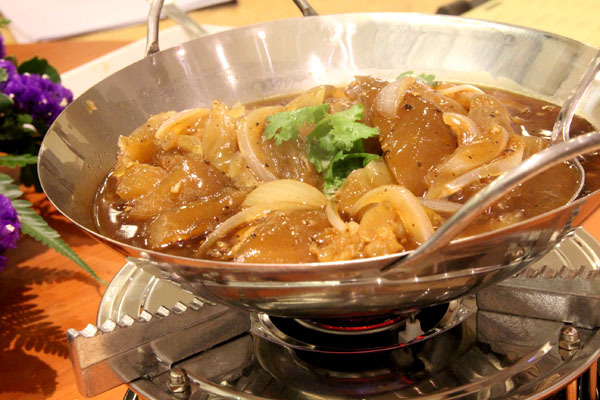 The other dishes such as the Roasted Chicken with Special Spicy Sauce ($12.80) and Stewed Beef Tendon in Black Pepper ($14.80) are both worth a try, each with a never-tried-before sauce. 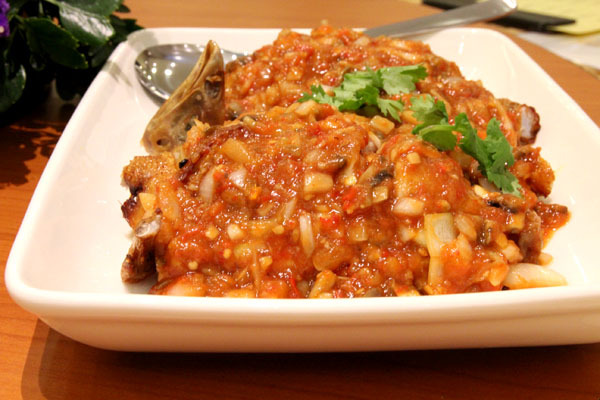 My only reservation is on its aesthetical presentation, especially the chicken drowned in Macau-inspired sauce. People on the table were staggered at its ‘ugliness’ and protruding head, but the roast was delicious lah.